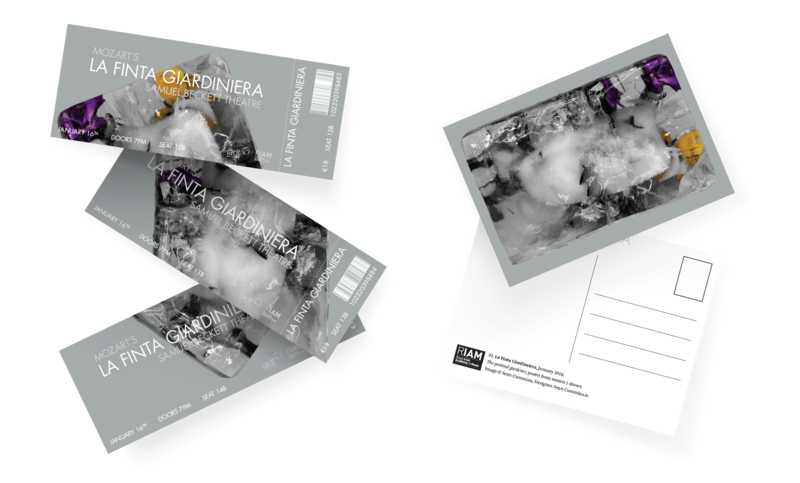 La Finta Giardiniera is a bizarre opera by Wolfgang Amadeus Mozart, it was produced in 1775 when Mozart was only 18 years of age. 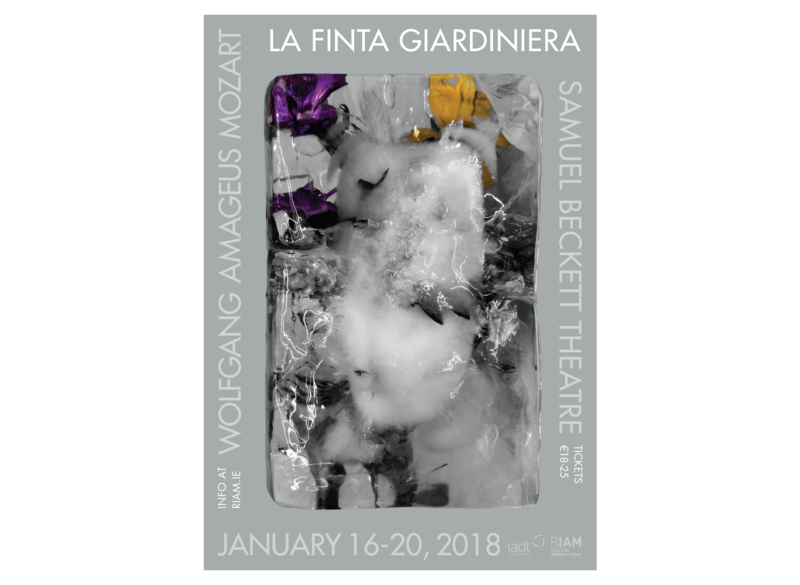 The story follows two people who should have never gotten together, themes of love, madness, and disguise are rampent within this strange opera. 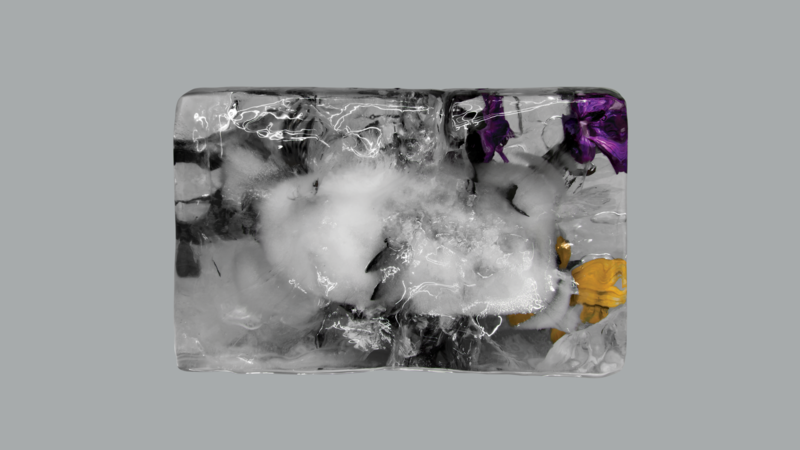 This odd romantic tale is represented with an image of flowers frozen in ice, it depicts a variety of thematics within this opera such as its cold and self-centered portrail of romantic intentions, as well as the lead characters indecisive nature. Type is layed out around the hero image to highlight this. 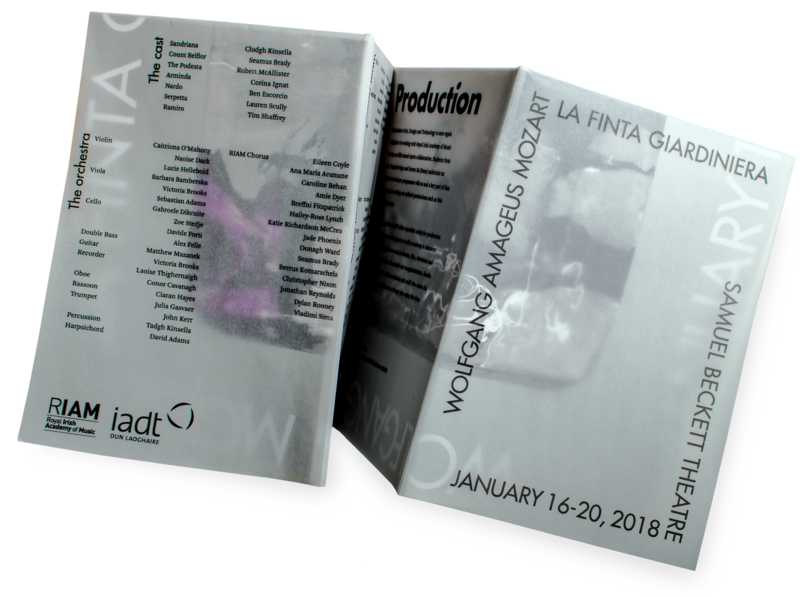 Produced both print and digital Opera Posters.